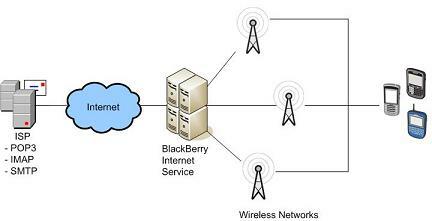 As you may (if you’re a nerd) or may not (not a nerd) have heard, RIM has rolled out BlackBerry Internet Service aka BIS 2.8. One of the features that has been added to this release is the ability to synchronize Gmail contacts to your device. Unfortunately, providers oftentimes don’t give you any notice that they’ve updated and finding the version of the BIS that you’re on can be a pain. Fortunately, I’ve dug up a way for you to be able to tell whether it’s been updated to BIS 2.8. Thanks to RIM’s help section, it explains where you can turn the contact synchronization on and off, via the menu system. 1. On the BlackBerry® Internet Service web site, in the left pane, click Email Accounts. 2. Click the Edit icon beside your Google Mail™ email address. 3. Select the Contacts check box. After you finish: To stop synchronizing your contacts, clear the Contacts check box. So if you don’t see this option, you’re not on BIS 2.8 yet. If you do see this option, you’re all set! Remember, you have to be running OS 5.0 to use this feature. Thanks for the info Nan! I wonder what might happen if we turn this feature on AND have the Google Sync app running. Quadruple contacts perhaps!?!? I’ll check this feature out, maybe it’ll be a reason as to why I shouldnt throw my BB 8830 out the window. How can you be so sure that this means you’re not on BIS 2.8 yet? It could be possible that you are, but this feature has not yet been enabled. One reason I think this could be possible is because in BIS 2.8 your service books is also now under the Help section, and that is true for me. But I am yet to see the Contacts thing you mention. So again, just because a specific feature is missing, how can you be so sure that this means you’re not using BIS 2.8?